"The European Central Bank (ECB) announced it will decide in the coming months whether monetary policy should be eased any further. Clearly, Draghi is completely losing control for he cannot entertain the remote possibility that negative interest rates will only cause hoarding and capital flight, and not stimulation. People only borrow when they see an opportunity. They do not borrow like governments with no rational thought whatsoever. In the coming months, Draghi said a better assessment of the situation would become possible. However, Draghi also said at the press conference for the Governing Council meeting that there is a change in policy because the ECB rule prevents them from buying negative yielding bonds. With German 10-year moving negative, that means Draghi cannot buy anything from Germany. Draghi came out and said that if necessary he will use all 'available instruments' meaning the rule to prevent the ECB from buying negative bonds will be abandoned. The key rate was left as expected at a record low of 0%. 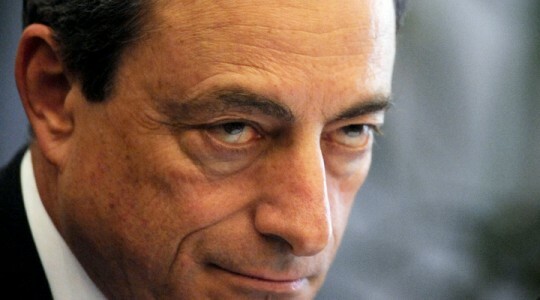 Draghi reiterated that interest rates will remain low, far beyond the end of the bond purchase program. The bond purchases in the amount of EUR 80 billion per month until at least March 2017 will continue until the inflation once again reappears. He has demonstrated that Europe is really screwed. He will not even consider that he is bankrupting pension funds while creating the next crisis and the elderly can no longer live off of interest. He has totally disrupted the world economy and has completely lost all sense of how to manage the economy." All of that was obvious as soon as interest rates went negative. E.U. is a disaster ... the Brits should get out quick !